Some of humanity’s greatest achievements took place in the Twentieth Century, and some of its worst excesses. It was a century of improvement in quality of life for millions of people, yet also a century of decline in many parts of the world. This powerful history faces the horrors of the time yet also captures the details that bring an era to life, and it never loses sight of the fact that history is something that happens to ordinary people as well as to the great and famous. "May I please add an appreciation to the many I am sure you have received. 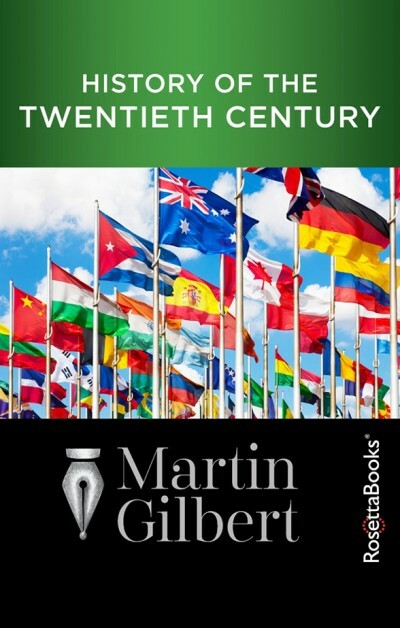 I loathed history at school, but at the age of 78 put 'history of the 20th Century' on my Christmas list, feeling it would be an idea to know something about it. The marvellous thing about A History of the 20th Century is the prose. Martin Gilbert has, in fact, written over 600 pages of events in chronological order, yet it is compelling, entirely due to the quality of his writing. I am so much enjoying it - even though he clearly thinks, but does not say, that Mankind is mad. "So a posthumous thank you. I wish he had written a few school text books." Jill East, retired teacher, Banbury, Oxfordshire.